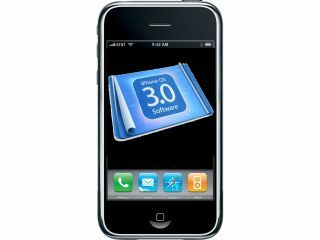 New iPhone applications will be rejected unless they are ready for Apple's forthcoming iPhone 3.0 firmware upgrade, developers have been informed. An email from Apple has told devs that they face having their wares refused entry to the Apple App Store unless they are ready for the next iteration of the phone's software which arrives in the summer. The company also warned owners of existing applications that 3.0 incompatible apps would be removed from the store after the firmware arrives. "Beginning today, all submissions to the App Store will be reviewed on the latest beta of iPhone OS 3.0," read the email bulletin. "If your app submission is not compatible with iPhone OS 3.0, it will not be approved. Existing apps in the App Store should already run on iPhone OS 3.0 without modification, but you should test your existing apps with iPhone OS 3.0 to ensure there are no compatibility issues. "After iPhone OS 3.0 becomes available to customers, any app that is incompatible with iPhone OS 3.0 may be removed from the App Store." Meanwhile, pictures have surfaced over on the Boy Genius Report site that appear to suggest that a magnetometer could be included in the widely expected next hardware version of the iPhone. Rumours abound as to what upgrades will arrive in the next iPhone, including slide out keyboards, video cameras and the inclusion of a compass feature would certainly aid the promise of turn-by-turn navigation.